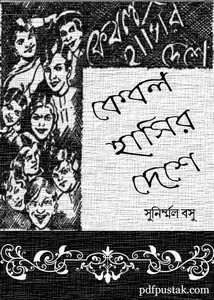 Kebal Hasir Deshe by Sunirmal Basu Bangla Poetry ebook pdf. 'Kebal Hasir Deshe' is an anthology of funny poetry which has written by Sunirmal Basu. His contribution was great in Bengali prose and poetry. For this he was honored with many awards, West Bengal government gave to him posthumously awarded Vidyasagar. To day readers could collect an amusing poetry book of his written as pdf file. Table of content of this book below.